A concert with songs that kept us company during the heartbreaks, that became the soundtrack of our pains. 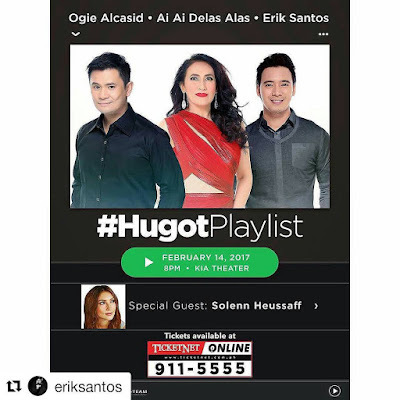 Find out how AiAi, Ogie and Erik, together with special guest Solenn Heusaff reminisce on their past loves and how humor has made it easier to let go, move on and fall in love again. This heart-wrenching yet laugh-out-loud concert is happening on Feb 14, 2017 8pm at the Kia Theater.